Last year for Easter my mom left town for a family wedding. Not wanting my brothers and dad to starve or eat pizza, I decided to cook my first Easter dinner. I made a ham, a potato casserole that I’m sure every family has their version of, some carrots, and a dessert. 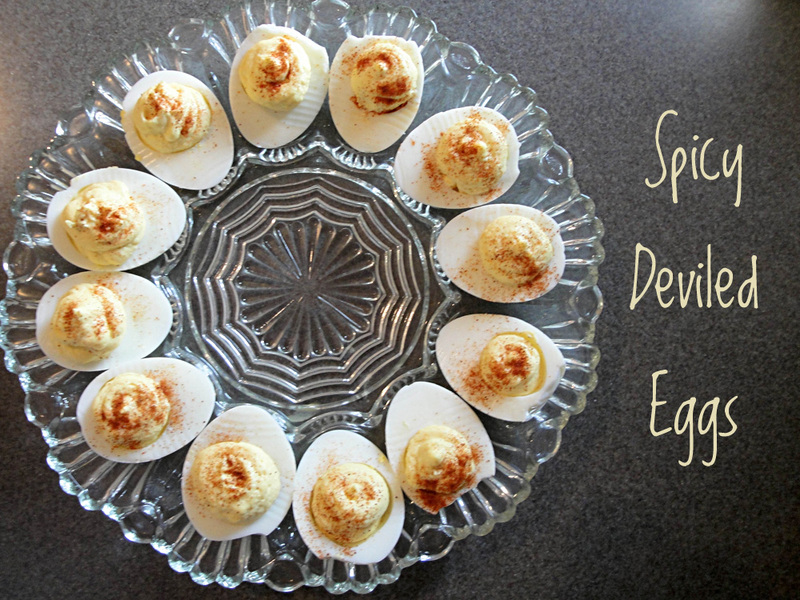 One dish that went over very well was the deviled eggs I made. My mom got home from the wedding and found a plate of leftovers waiting for her sans deviled eggs and just yesterday she complained that everyone ate them all before she got to try them. 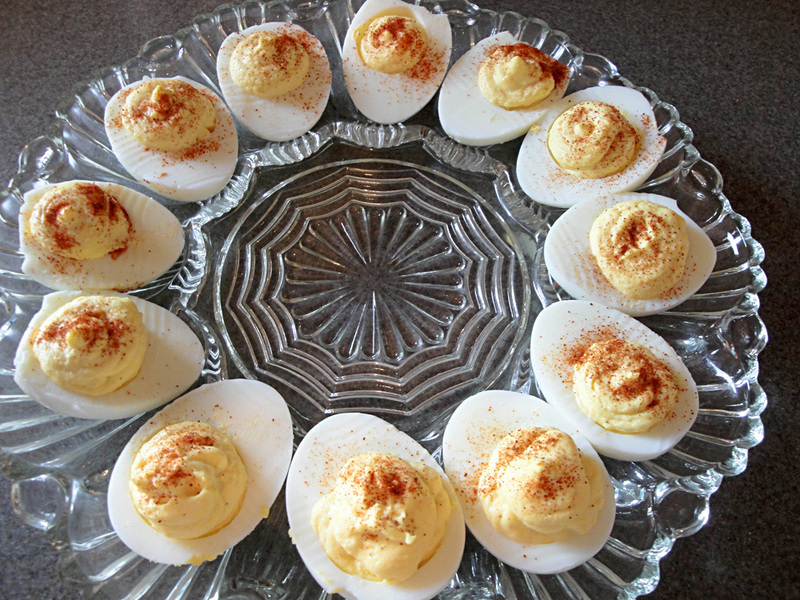 The key to my deviled eggs is that I hate pickle relish. I don’t want it touching my eggs. The second worst thing about deviled eggs is that they can be very bland so I wanted more of a kick than the sprinkle of paprika on top of them. I had some horseradish leftover from a steak and potatoes dinner I had made and I wondered if the combination of eggs and horseradish might work out. Spoiler alert: It did. 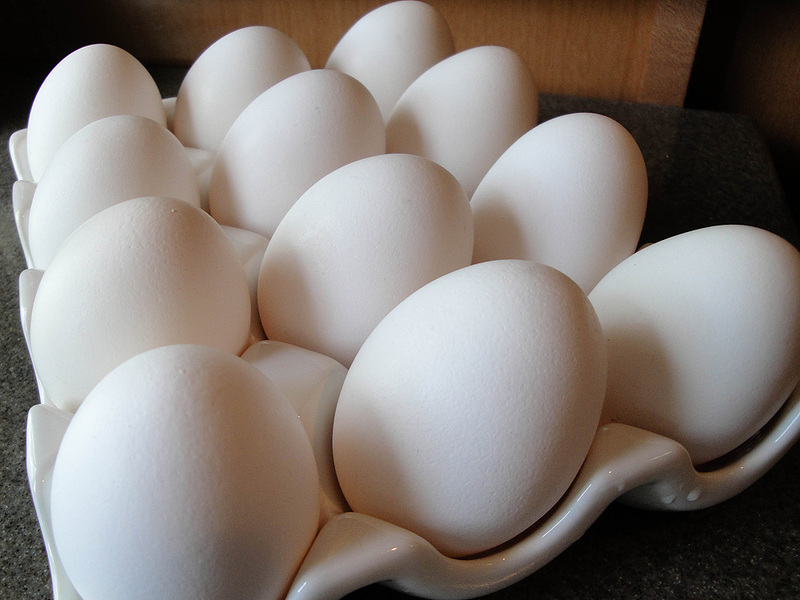 Hard boil your eggs the day before and let them cool down in your fridge overnight. On Easter morning, peel the eggs under running water. Cut each egg in half lengthwise and remove the yolks. In a small bowl, place the yolks, mayonnaise, ground mustard and horseradish sauce. Mix with a whisk or a mixer. Spoon or pipe the mix back into the eggs. Sprinkle with paprika and chill in fridge until guests arrive.